If you are interested in getting paid from surveys, you have maybe realized that there are thousands of sites that offer paid surveys. It can be difficult to know which paid survey sites to chose. The quality of the sites and the money making opportunities do however vary greatly. It can be frustrating to test them to find which ones are legit and which ones are a waste of time, and it is difficult to find honest and in-depth reviews of paid surveys. That is where PaidFromSurveys.com come in – I got curious about the opportunity to make money on paid surveys, and started joining and testing sites in the beginning of 2016. Since then, I have tested A LOT of sites, and have found both great and not so great sites, and have unfortunately also found some that are outright scams. When I first started, it was difficult for me to find any good information about which survey sites to join. Most review sites where either overly positive to sell me the idea to make money themselves, or overly negative to sell me another kind of online service to join. So I decided to make this website with in-depth and balanced reviews of online survey sites and everything else that is worth knowing about surveys. I will do my best to help you get a better overview, and getting started quickly without having to test all the sites yourself. 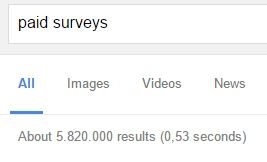 I have tested and researched all the survey sites before making a review. I have however not tested all the sites I am reviewing, as some of them are clearly outright scams, and I do not want to give my money to scammers (yes there are scam sites that try to charge you for doing surveys – do never join a site that does this). So that is why I am also doing reviews of these scam sites, as I will happily help to expose them, so they do not earn money, and help you to avoid wasting your time and money on these sites, and instead find the survey sites that are worth joining. I will continuously make new reviews and update the existing reviews, if I realize new aspects, pluses or minuses with any of the sites, or if any of the sites introduce new opportunities. When doing the reviews, I will look at how easy it is to get started on the site, how much money is it possible to make, how much time does it take, how user friendly is it, are there any joining bonuses, how do they pay out, and more. I am trying to give as many details as possible and give both pros and cons, so you can see all the aspects and use this to decide which sites are the right for you. You might have experiences with some of the sites I have reviewed, and if you have any comments, different experiences or things to add, please feel free to leave a comment somewhere on this website – I would love to hear your opinion as well. Do you know a survey site you want me to review? Below, you can find an alphabetic list of all the reviews I have done, so you can easily find info, if you are looking for reviews and details about a specific site. You can also chose to only see a list of the top survey sites in your country, and get access to the reviews of these that way, if you just want to know the best sites to join. Been with them over 5 years, however they have turned into a mixture of incompetent technology and a scam – stealing data from the user. They take your answers then throw you off right at the end with no reward – too many times, despite HONEST answers, to be a coincidence. 45% of the time. Doesn’t leave much time for completing surveys successfully does it? Thanks for sharing your experiences Andrew. It seems that MySurveys in some countries at the moment is about to merge with another platform. Maybe this is the reason for the downtime and problems you are having with the platform at the moment. I will keep the reviews here on my site updated when I hear news about what is going on and which countries will be affected. Please review Rewards1. Legit survey earning site that has been around since 2007. Thanks for the suggestion Cin. I will write it on the lists of sites I need to test. We have been unable to locate an account for you with the email address you have contacted us. For security purposes, please provide the following information so can verify your account and update any information needed. Can somebody enlighten me why if they have been unable to locate my account, how come they have continued to sent me new surveys since? Even now when I have yet to return this request? Thanks for sharing your experience Jack. It does sound strange. If the request was sent by GTM, I would send the info to them to see if they can restore your access even though it is strange you even lost it. I, however, know it is a legit site since I have been paid by it several times myself. I have also heard that GTM is right now in the process of relaunching itself under a new name and platform in the US. If you live here, this might be a part of why the platform is acting up? Anyways, hope you will soon get access to your points and again thanks for sharing with the rest of us. Feel free to keep us updated. I have a questioin, now that Global test market, and my survey, merged and are Lifepoints now, The way i see it is, you either use GTM or Mysurvey cause they are combined….no sence in using both? Am I correct on this? Im still mad becuase mysurvey owes me like 1900 points withi is over 15usd, and say they are gonna send and do not, I have send NUMEROUS email mikael….can yuo help with this? GTM and MySurvey still have separate sites in some countries. But GTM will soon close down in all countries. Not sure if MySurvey will keep having panels in certain countries. As for the US where you live, you are right that it does not make sense to use both of them. Really frustrating you keep not getting the payout from MySurvey. Unfortunately, I do not have any contacts there I can contact and see what is going on, so cannot really help much. My only suggestion is to just keep writing them until they pay you. Please review Instar Wallet. It provides opportunities for its users to earn cryptocurrency for participating in daily surveys. Thanks for the suggestion Brandan. I will look at it and test it as soon as possible. There are quite a few good options for Italy. I would suggest you to check out the top 10 list. Many of these sites also gives good opportunities in Italy. And just let me know if you have any other questions. I am not sure what you say My Digital Survey has offered you? You definitely can earn money by taking surveys, and some survey companies also pay to you on prepaid cards. But if you never signed up for it and if you have not yet taken any surveys through them, something is off. I have received emails from scam survey companies myself saying that I just made $500 by just clicking in an email. That is NOT true, since I knew I had never taken a survey through them. There are many legit survey companies, but unfortunately also many scams. If you can tell me a bit more in details what you have experienced I will be happy to share my opinion about it. I was online the other day and my digital survey sent me a check. A couple of checks actually – one of them was $1000000 and said they called my number – how viable is this company my digital survey and do they do checks like that? This sounds a bit suspicious. I do not know the company but how big a check did they write to you? And did you ever sign up for them and take any surveys through them? As far as I can see it is not an actual survey site but it seems to be just promoting other survey sites. But the questions I asked above are important to consider before knowing if it is real or not. Great site! I also highly recommend using PRIZEREBEL which is one of the best join up from this link! Thanks for sharing your experiences Stephen. PrizeRebel is definitely one of the great sites. Hi Mikael, Your blog was extremely useful. 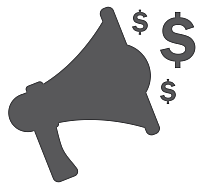 Besides surveys & your blog page, do you do any other work online to earn money? Do you have any pages for how to get started with a blog page? All I could find are your survey reviews? If so please let me know as I really enjoy your blogs or websites. Thanks for the feedback Ann. Glad to hear you enjoy my blog. I have an article about how to create a full-time income through a blog, as I regularly get that question. So you can check that out for more info. And let me know if you have any questions. It depends how old you are? I have made a list of the best sites for teens. Some of them are available as long as you are at least 13 years old. You can check out the list of the best sites for teens here. I am also planning to update the list soon, so it will also soon include more opportunities, but it already now has some great sites on it. You are welcome Elena. Yes, a good idea to check with the local legislation. But should not be a problem to for example get gift cards. But better to check for your specific country. Just be aware that you have to be 18 to get a PayPal account, so this is not a possible payout method before you turn 18 as far as I know. But there are also many other great rewards on most sites. Good luck with it and let me know, if you get any questions. Thank you for replying so quickly! I did’nt know we couldn’t have a PayPal account under 18 so it’s good to know. Thank you so much and I read more about your blog and I very like it so please continue. Thank you for the suggestion. I will write it on the list of survey sites I need to test and write reviews about. Please do a review on this padlockincome.com. I am getting too many mails requesting me to complete my registration which I actually tried and failed. Meanwhile I read somewhere on Google+ that is was scam. Thank you very much for your suggestion. Think it is good that you did not manage to sign up for that site. I have also heard not so great things about it. If they keep sending emails, there should be an option in the bottom of the mail to unsubscribe. If not, you can also block them, so you will no longer receive emails from them. It is however not a survey site, but a site about online business training. On PaidFromSurveys.com, I only write about survey releated sites, and therefore a review of Padlockincome will not fit here. But if I at some point make a website about all online money making posibilities, I will definitely do some more research about that site, and do a review.